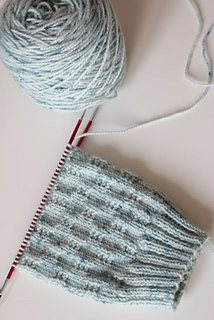 A top down sock with a simple pattern, a flap and gusset heel and rounded toe. 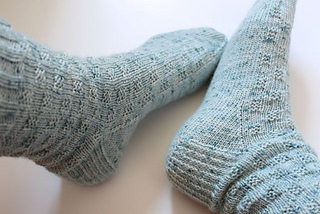 Written to be used as a first sock pattern but some basic knitting skills are required. Experience knitting in the round, particularly with magic loop would be useful. 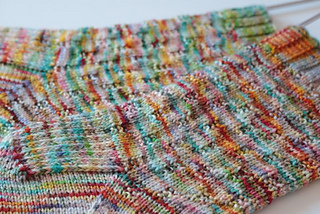 8 stitches and 12 rows in 2.5 cm (1”) across pattern repeat.